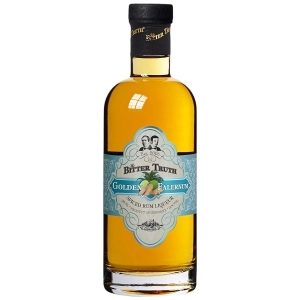 A coconut doesn’t grow on a pumpkin vine and The Bitter Truth Golden Falernum Liqueur doesn’t forget it’s a rum liqueur. This Falernum is gold in color, taste and texture, but never one note, it is a calypso of flavor. On the nose are clean wet flip flop, seashell and ginger with just a hint of christmas. The taste carnivals from fresh ginger to vanilla and almond, surfing towards an atomic fireball. All spice giving into a splash of lime and a delicate hint of Bajan sweet pepper sauce-like heat. With length that feels like a two week holiday, this little number can perk up any aged spirit and instantly turn it into a drink worthy of adornment with a plastic monkey and a paper umbrella. 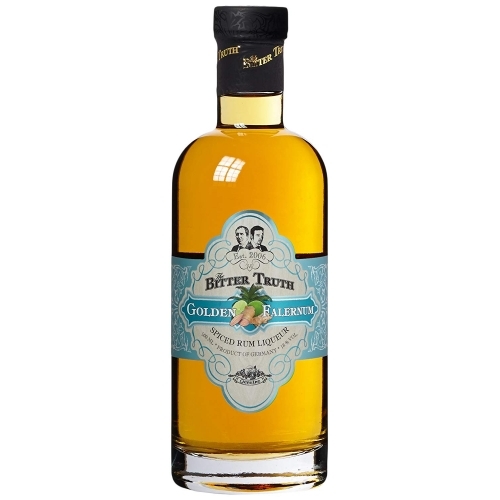 The Bitter Truth Golden Falernum Liqueur is an exotic spiced liqueur on the base of the finest Caribbean Rum. In ancient Rome Falernum was the name of the most favoured and most expensive wine. Modern Falernum has almost nothing in common with its ancient predecessor except its rich golden tint. This sweet liqueur was usually flavoured with limes, almonds, cloves and ginger, and gained in importance during the tiki era in the middle of the 20th century. 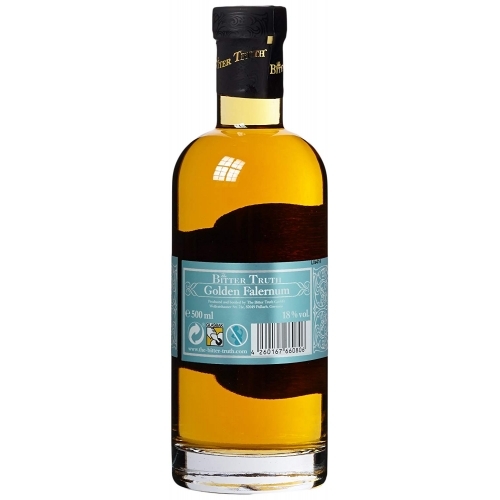 With an ABV of 18 % Golden Falernum is a very distinctive feature among its category. The full-bodied Caribbean Rum which is used as a base supports the complex exotic flavour profile composed of spicy ginger, citrus fruits, almonds and allspice. This Falernum can be sipped neat or on ice but it also goes well with aged spirits like Whisk(e)y, Rum and Brandy. And of course it’s an indispensable ingredient in numerous Tiki Drinks. This rum based liqueur is rich and complex in flavor. Nose: Spicy ginger with clove and a hint of vanilla. 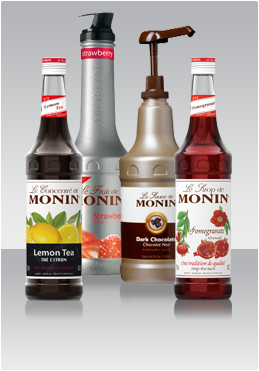 Taste: A more subtle ginger, followed by almond and vanilla. An allspice tingle on the tongue develops into a long finish with a zest of lime.